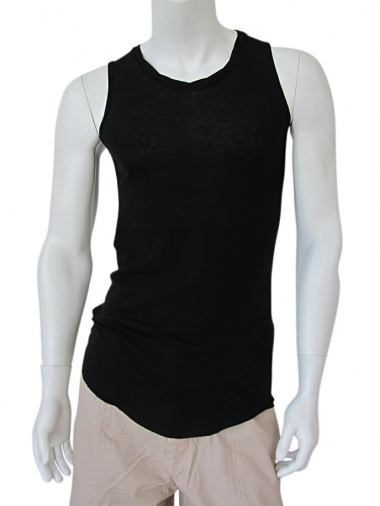 Undershirt 100% Cotton by Lumen et umbra - Clothing Men Top On Sale. Long Undershirt in cotton, rounded bottom, round wide neckline, border roulé, twister. Look for the evil Jason Statham, English actor.